I know it’s only September but I think my brain has been in full on HOLIDAY mode for at least a month now. I’m trying to get all the desserts, sides and Thanksgiving/Christmas dishes out with plenty of time for both you and I to find and perfect everything well in advance. So naturally, we gotta talk pie! Like many coconut flour baked goods this crust is soft, tender and has a natural sweetness to it. 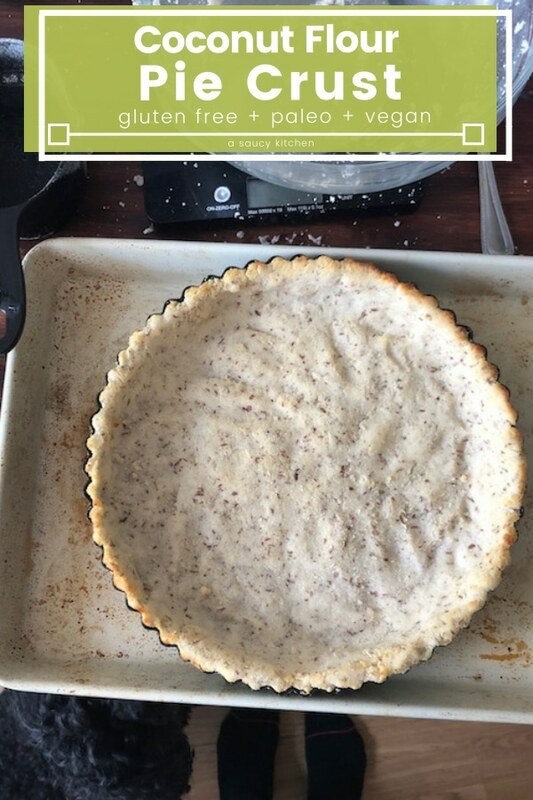 It’s more like a shortbread pie crust than a typical flaky crust making it a great option in sweet recipes though can certainly use it in savoury dishes as well. 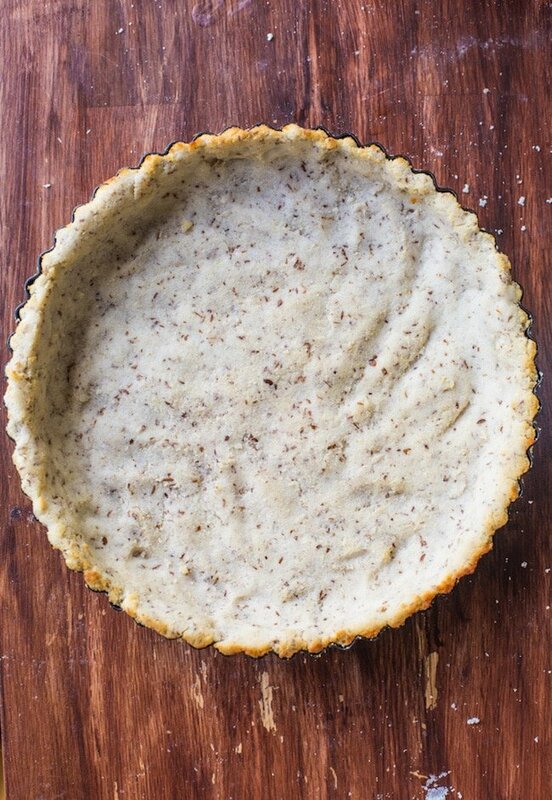 All in all this coconut flour pie crust is super easy to make and incredibly versatile. Unlike most coconut flour pies crust recipes I’ve found this one is egg free. Since it’s also nut free and dairy free it’s a great choice to serve to friends and family who might have food allergies and intolerance. Honey/Maple or Salt – depends on whether you want to use it for sweet or savoury pies. Making this crust is very simple. All you need to do it mix together a little bit of water with your flax seeds to form the flax ‘egg’. This mixture will thicken and gel up. It’s what binds this crust together after baking. 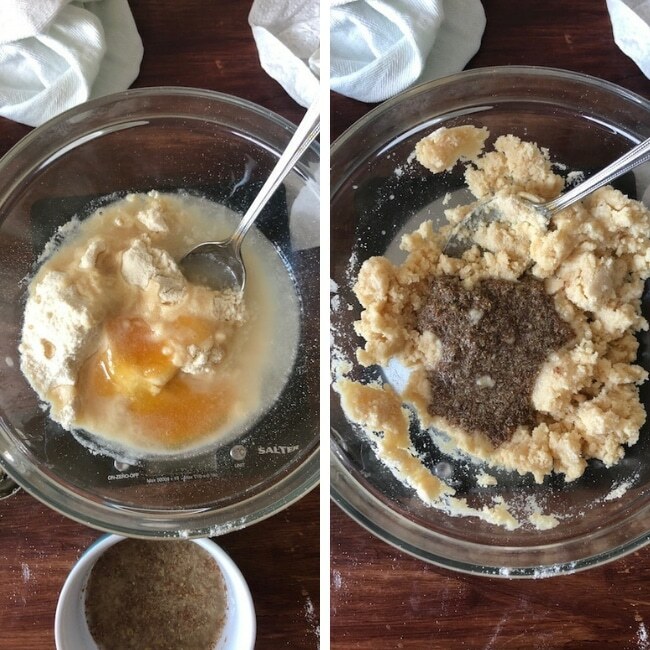 Make your ‘egg’ then mix it into your remaining ingredients to soft a soft dough. The dough will be a bit crumbly but should clump together easily enough. 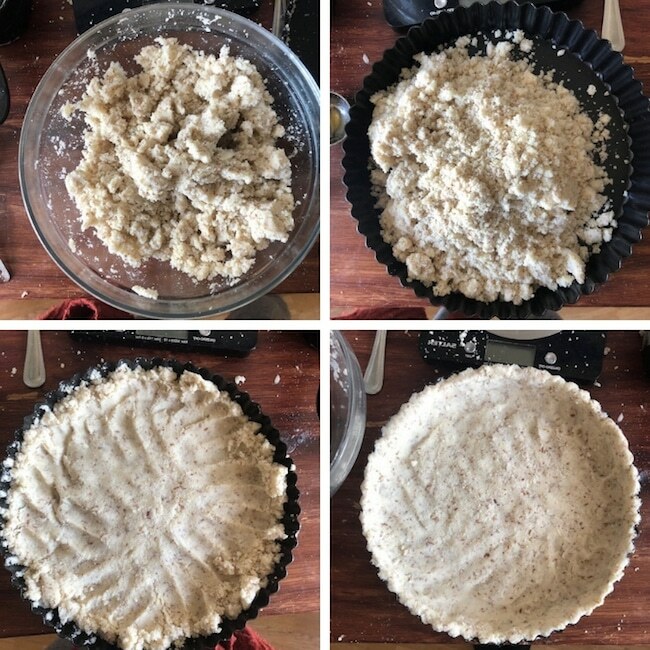 Instead of rolling out this dough just dump it into your pie tin and press down and into the sides as demonstrated in the photos below. I recommend that you use a loose bottom pie tin (<affiliate link for recommendation) for this crust. Without the eggs the crust is more susceptible for crumbling after baking. Using a loose bottom tin will make cutting and serving this crust much easier. Like I’ve mentioned in my post all about coconut flour – it’s an extremely absorbent flout that needs a lot of liquid to work. When you first add the oil and water to the flour when making the dough it’s going to look like way too much liquid. Just keep stirring and wait a minute it will absorb right into the dough. 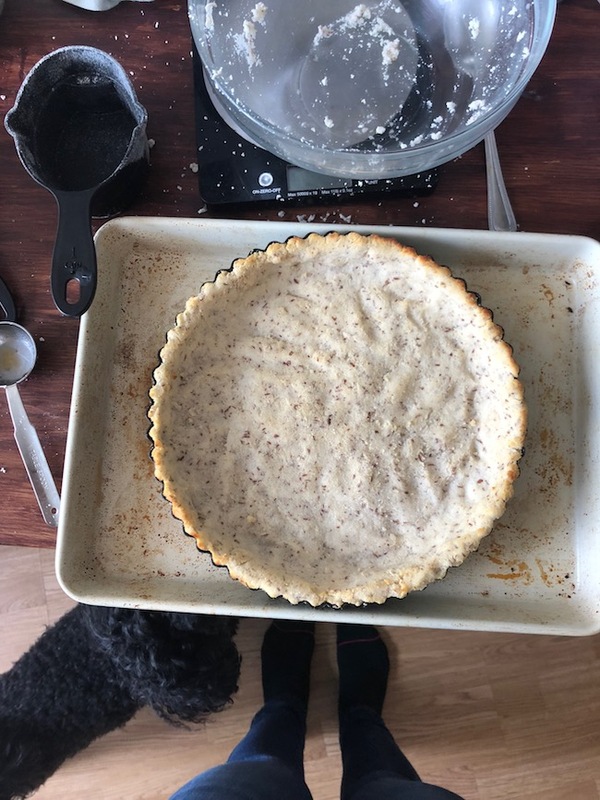 Don’t forget to #asaucykitchen on instagram if you this Coconut Flour Pie Crust! I love seeing what you make! You can also post your pictures to my facebook page! Preheat the oven 350°F/176°C. Lightly grease a loose bottomed 8 or 9 inch pie plate. Set aside. Combine the 2 tablespoon ground flax seed (or chia seeds) with 4 tablespoons cold water. 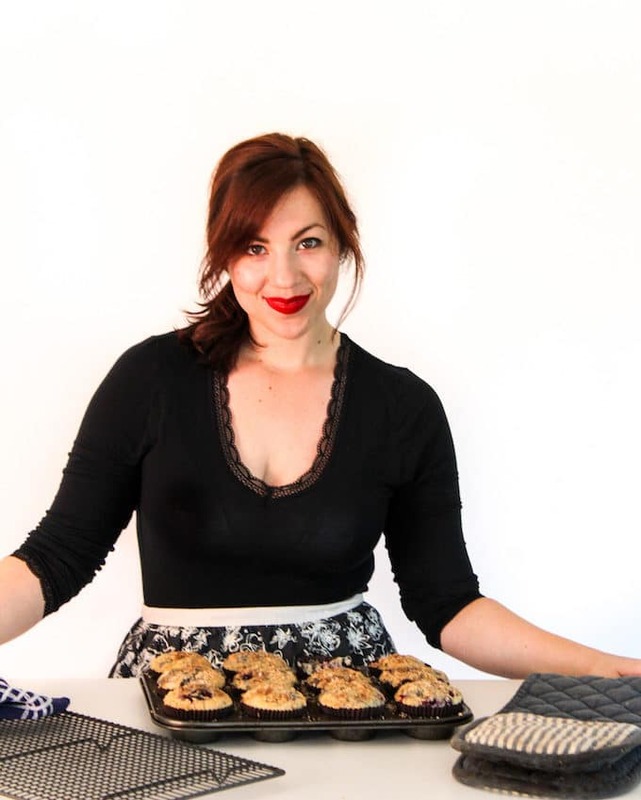 Whisk until combined and place in the fridge for at least 5 minutes while you prep the cookies. When the 'egg' has thickened and gelled up it's ready to use. In a large mixing bowl mix together the coconut flour, honey, water and coconut oil until combined. When you first add the water & oil it will look like too much liquid. Stir and wait a minute and the excess water will absorb into the coconut flour. Add the flax egg and mix until a soft, crumbly dough forms. The dough will be crumbly but should stick together when clumped. Add the dough to your pie plate and press down into the bottom and sides of the pan evenly. Bake for 10-12 minutes or until firm and the sides start to golden just slightly. Remove from the oven and let the crust cool down slightly before adding your pie crust filling. At this point just bake according to your filling recipe instructions. If your edges of the crust start to brown too much before the filling is complete you can cover with it with foil. If making this crust for savoury dishes use 1/2 teaspoon salt instead of the honey/maple.